Dangerous air particles are released from vehicles, by industry, and from natural sources like dust. The tiny particles, which are only a fraction the size of a human hair, enter the bloodstream through the lungs, increasing the risk of stroke and heart failure, and causing a myriad of respiratory problems, like asthma and pneumonia. Innovations are desperately needed to help curb the growing problems stemming from air pollution. 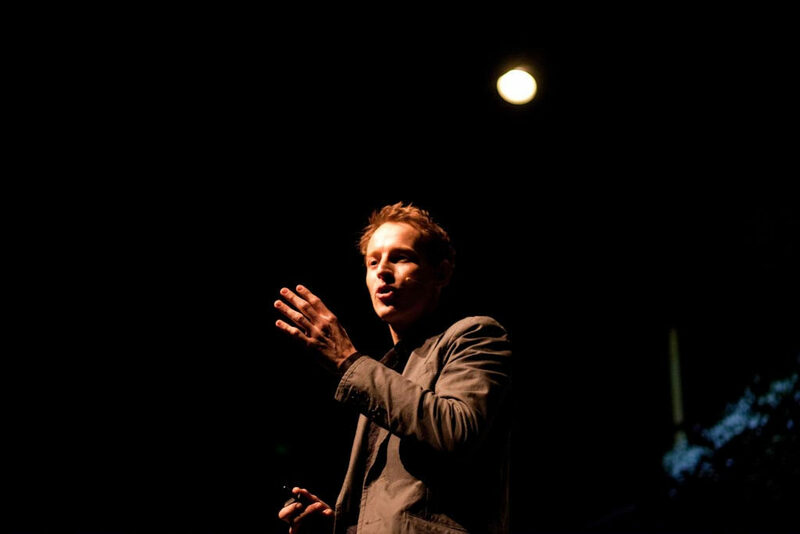 Fortunately, Dutch artist and innovator Daan Roosegaarde is doing just that. Last year, Roosegaarde designed and built a series of 23-foot-high structures in Beijing that essentially operate as a giant air purifier. Powered by wind energy, the structures use ion technology to attract and remove roughly 30,000 cubic meters of pollution from the air every hour. This year, Roosegaarde unveiled a new concept: a bicycle that cleans polluted air while the rider pedals. The ‘Smog Free bicycle’ (as it’s known) works by sucking polluted air into a contraption located on the front of the bike, cleaning it through a filtration system, then releasing fresh air—all while the rider is pedaling through the streets. The implications could be huge, particularly in urban environments, including large cities like New York, Berlin, Buenos Aires, and Beijing. But with 88,000 Americans and 258,000 Europeans still facing increased risks of premature death each year due to air pollution, it’s evident that there’s still plenty of room for additional innovation. Photo, posted June 6, 2010, courtesy of Studio Roosegaarde via Flickr. ‘Pedaling for Clean Air’ from Earth Wise is a production of WAMC Northeast Public Radio.